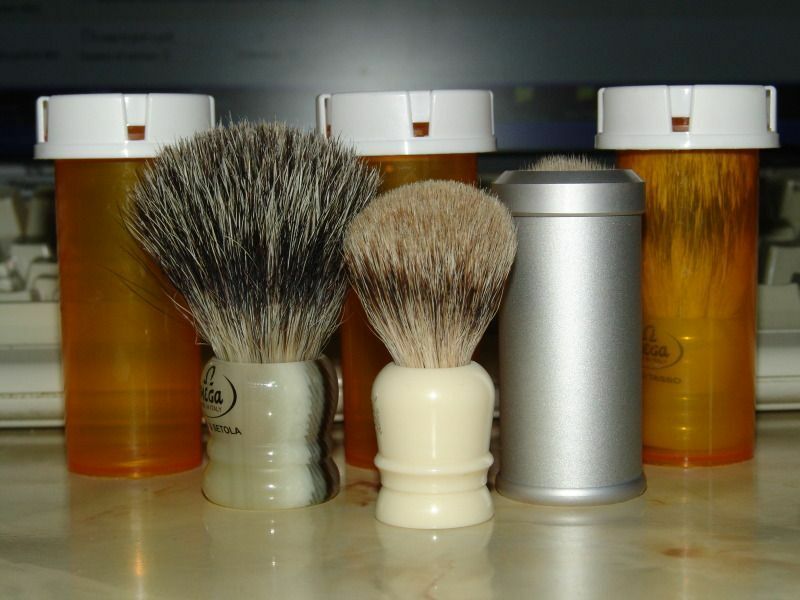 Anyone know any good travel tubes for shaving brushes? I already own the Muehle one http://www.westcoastshaving.com/Muhle-Ro..._2533.html. I've seen some interesting ones form Simpson http://www.simpsonshavingbrushes.com/cgi...rod_CASESL, shaving-shack http://www.shaving-shack.com/shaving-bru...-tube.html, and this one http://www.amazon.co.uk/Large-shaving-br...B008YEPZ68. I have a Simpsons tube that I use for travel and is the only one I have. There's this from ShaverEvolution too. I also know that many just go to the pharmacy and ask them for a suitable sized prescription bottle. if you have a large prescription pill bottle that's empty, they can hold a decent size brush. I have the Muhle travel tube and the Simpsons Large travel tube. Out of both of them I use the Simpsons more as its a little easier to open and close, however both work as intended. (02-08-2016, 11:34 PM)kwsher Wrote: I have a Simpsons tube that I use for travel and is the only one I have. There's this from ShaverEvolution too. I have a Simpson travel brush that fits into a tube that can become a handle. Muhle makes one that converts also, but my favorite is the Omega 50014 "Turnback", it's boar, I don't know if that makes a difference. 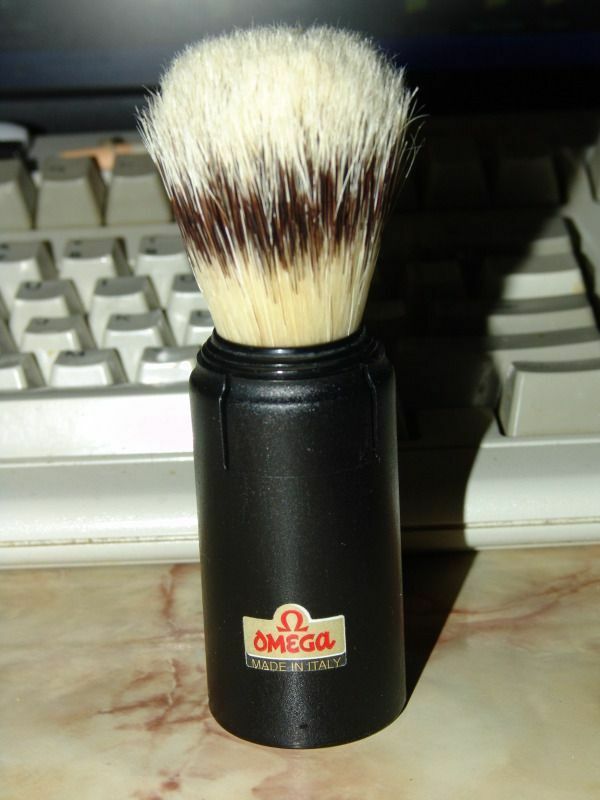 For near the price of a genuine travel tube you can get a really nice boar brush. I think I paid $12 for mine a few years ago. 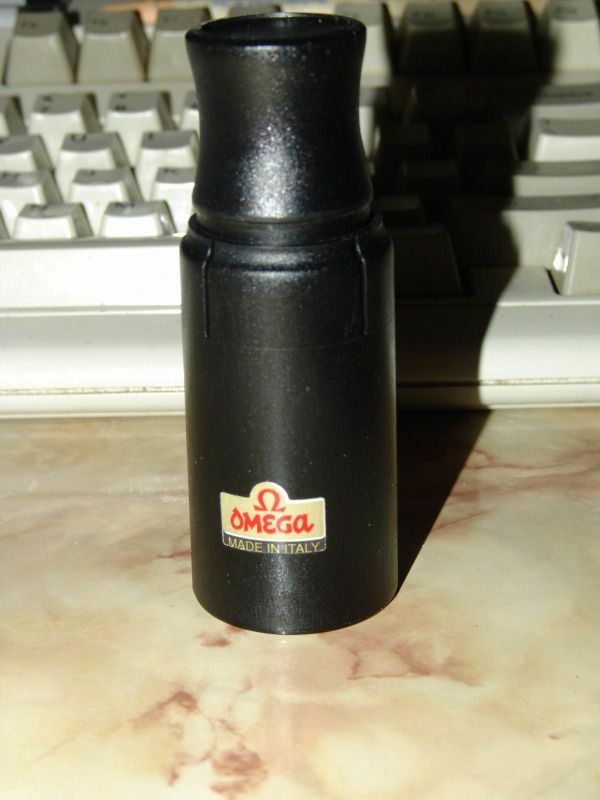 Muhle didn't get it right IMO, but the Omega can be used with the tube to make the brush longer, or it can be used without the tube for face lathering. Depending on the size of the brush I use Rx bottles also. 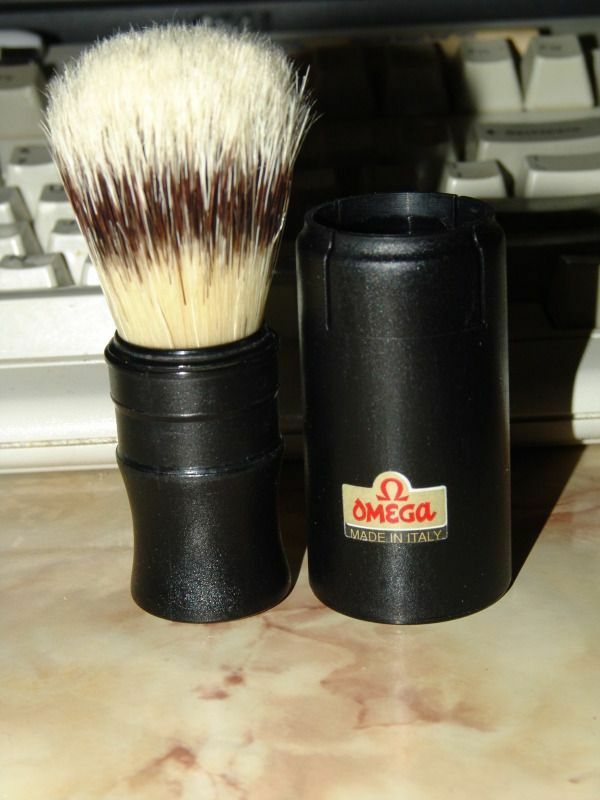 But the Classic synthetic, possibly the best conceived travel brush of all time, fits perfectly into the Simpson tube. You can tube a synthetic after every shave, without drying it, and it'll never hurt the brush. 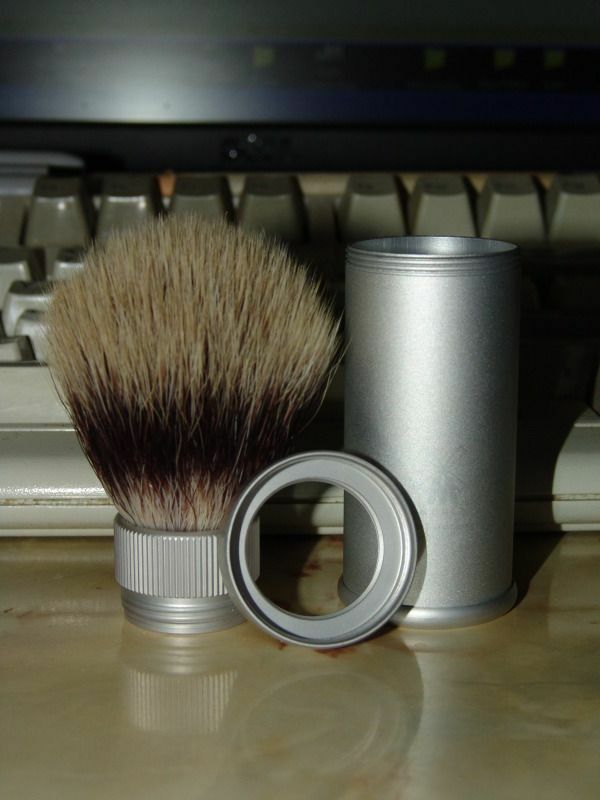 I've also used one of my empty after the shave bottles after cutting the bottom and threaded end off. No ventilation required since it's "built in". The Omega Turnback in various states. This is the travel mode. Various travel brushes and their tubes. I made my own. I bought a 4 ft. Fluorescent Tube Protector, cut it down to size, glued one end and left the other that I can take on and off. The end caps have holes in them for the bulb pins that allow the brush to dry. Total cost was under $3.80. (02-09-2016, 08:25 PM)Cincinnatus Wrote: I made my own. I bought a 4 ft. Fluorescent Tube Protector, cut it down to size, glued one end and left the other that I can take on and off. The end caps have holes in them for the bulb pins that allow the brush to dry. Total cost was under $3.80. Good call Cincinnatus and creative solution. I completely forgot that 55dougie ships his brushes in shortened fly rod shipping tubes with two removable end caps.